Agen, situated halfway between the great cities of Bordeaux and Toulouse in southwest France, is probably best known for its prunes that are dried from local plums and often steeped in brandy. But there’s much more to this charming small city in the Lot-et-Garonne in the new region of Nouvelle-Aquitaine. It's a historic city with enough Gothic arches to satisfy the most architecturally minded visitor; a daily covered market full of tempting treats to buy, eat, and take home as gifts; narrow medieval alleys; as well as having a canal and river. The people of Agen are infinitely friendly, and avid rugby fans abound if you pop into any of the bars or cafés during the rugby season. Interestingly, the world-famous Agen prunes are not actually from Agen but from nearby villages. They came to be connected with Agen because they were distributed from this city. Each year Agen holds the Grand Pruneau Show, which is a gastronomic festival, but really an excuse for a quality three-day music festival with different artists each evening. You can't miss it; it's held in various venues and in the streets of the town. No visit to Agen is complete without a stop at the city’s covered market, located across from the Tourism Office. Open mornings daily, this is the prime spot to find local delicacies, produce, and meats. Visit the historic Place des Laitiers on Saturdays for the organic market. Take a walking tour of the city. Get maps and directions from the tourist office, or take an organized guided tour. This will take you to the main sites. 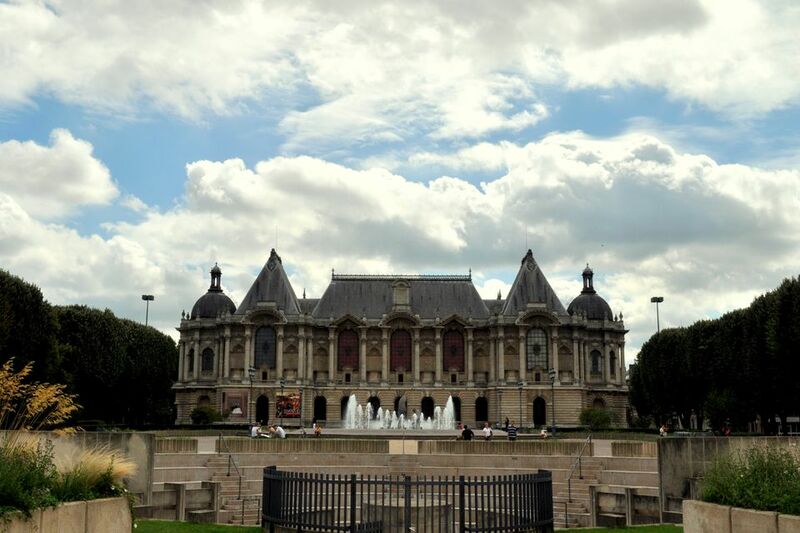 Start at Place Docteur-Pierre-Esquirol, a gracious square with its old town hall, theater, and Musée des Beaux-Arts (Fine Arts Museum). Housed in two old red brick 16th- and 17th-century mansions, it's well worth a stroll through to see the comprehensive collection of prehistoric and mineral collections as well as beautifully carved capitals with leaves and animals in the medieval archaeology section. Check out its showpiece: the Venus de Mas, a 1st-century B.C. Greek marble statue. Walk down rue Beauville with its restored medieval houses, through the Place des Laitiers that has been the major trading place since the Middle Ages, then down the rue des Cornieres with its half-timbered houses. Take a walk along the banks of the River Garonne, one of the five major rivers of France, for lovely views of the town. La Musée Pruneau Gourmand (located in Granges-sur-Lot near Agen) is the prime destination for those interested in Agen’s most famous crop as the museum traces the colorful history of the area’s prunes. There is a prune maze open from July through September, and the shop presents prunes prepared almost every way imaginable. Walibi Sud-Ouest amusement park sits on 75 acres and features an actual 18th-century castle. Thrill-seekers should hop on the Scratch roller coaster or speed along in the Boomerang double-loop coaster. There are also several rides for younger children, as well as a host of water rides (including white-water rafting on a constructed river). In July and August, there is a shuttle from the Agen train station to Walibi. Végétales Visions (located in Colayrac Saint Cirq near Agen) features an awe-inspiring mix of plants from five continents. The exhibits include a Zen garden, exotic garden, and botanical garden. It also houses a great variety of rare species. Parc en Ciel (located in Lacapelle Biron northwest of Agen) features a zoo, various gardens, waterfalls, a farm, duck lake, obstacle course, and mini-golf. Château des Jacobins is a destination unto itself. This four-star hotel in the heart of the old town was originally built for a count in the 19th century, and the castle remains beautifully furnished today. It's acknowledged that the rooms are among the finest in this region of France. Château de Lassalle has 17 inviting and comfortably elegant rooms. The common areas continue that theme, including a warm billiards and game room. The hotel’s restaurant is its best allure of all, featuring premium examples of regional cuisine. Other hotels found in the area offer a variety of amenities.